Every warrior of note had his or her own heraldries and symbols to display on their shield, and this Blank Kite Shield gives you the chance to do just that! Of course, it is also ready to go as-is, assuming you would rather just leave it be. This shield is crafted from poplar wood and overlaid with a layer of linen fabric, creating a blank canvas that is treated for painting. This way, you can craft your own shield, in your preferred colors with your personalized heraldry. 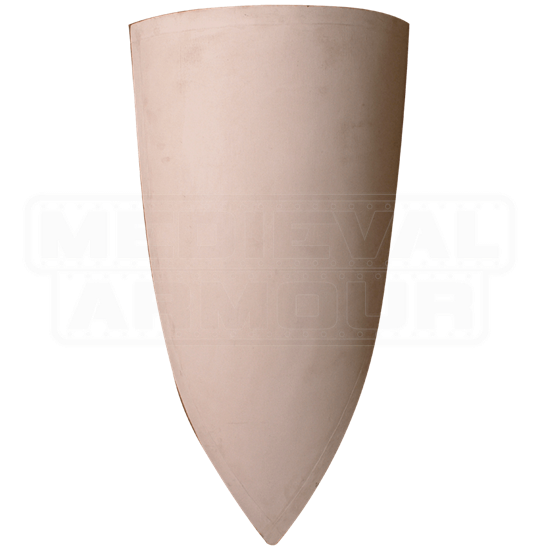 It is modeled after the classic kite shield, which was favored by many warriors throughout the Medieval era, mostly because it allowed a wielder to defend their torso and their forelegs with remarkable ease. 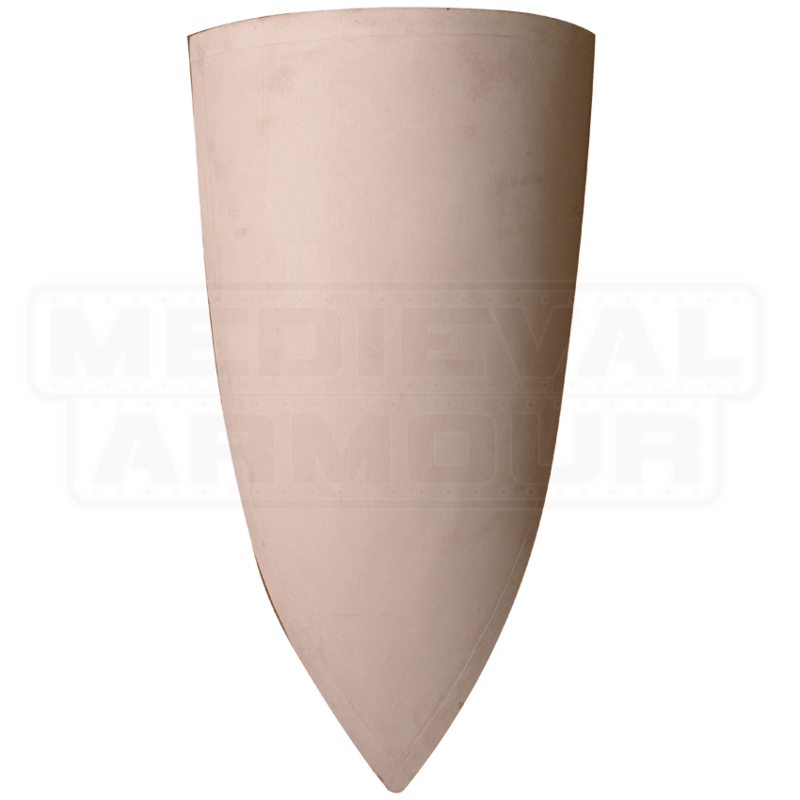 This shield echoes the later kite shield designs, possessing a rough, triangular shape with a point at the bottom and a gently curved top. If you are looking for a way to show off your personal symbols and heraldries in combat, then there is no better way than to get this Blank Kite Shield and paint it with your personal emblems.